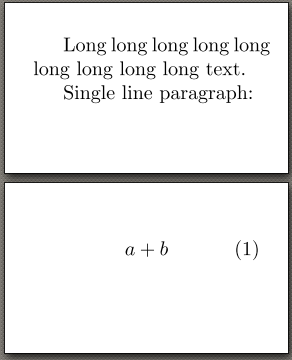 I need to bind single line paragraph and math display with \nobreak. \clubpenalty, \widowpenalty, \displaywidowpenalty has no effect because it's a single line and there is \par between math display. Uncommenting \nobreak the result is fine. Single line goes to the next page. 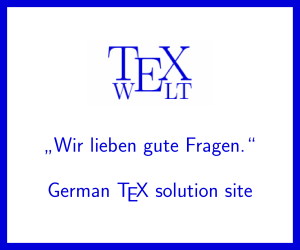 Manual intervention to tex file is not an option. Long long long long long long long long long text. 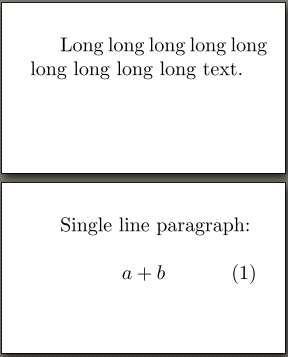 Never have a blank line before a displayed equation, this forces a spurious single line paragraph that just consists of white space to be generated before the equation (so it looks a bit like vertical space, but is not) so this makes poor vertical space and allows poor page breaks. Then the whole second paragraph (the equation is now part of the second paragraph) moves on to page 2. Not the answer you're looking for? Browse other questions tagged luatex paragraphs or ask your own question. How can I prevent page break between lines of a paragraph or bibliography entry? How to force new page if paragraph will break?